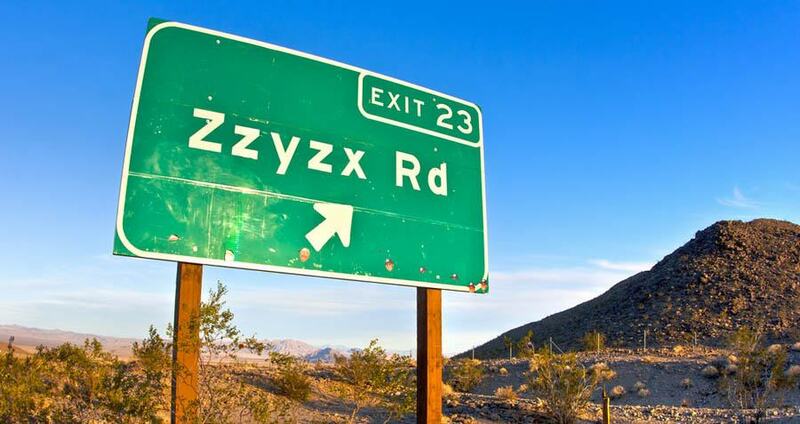 Believe it or not, someone named a town "Zzyzx" in order to make money. Flickr/slworkingThe highway sign that marks the way. The United States isn’t exactly known for originality when it comes to naming its cities and towns. Places like Versailles, Kentucky; Berlin, Connecticut; and Cairo, Georgia stand as proof of that. 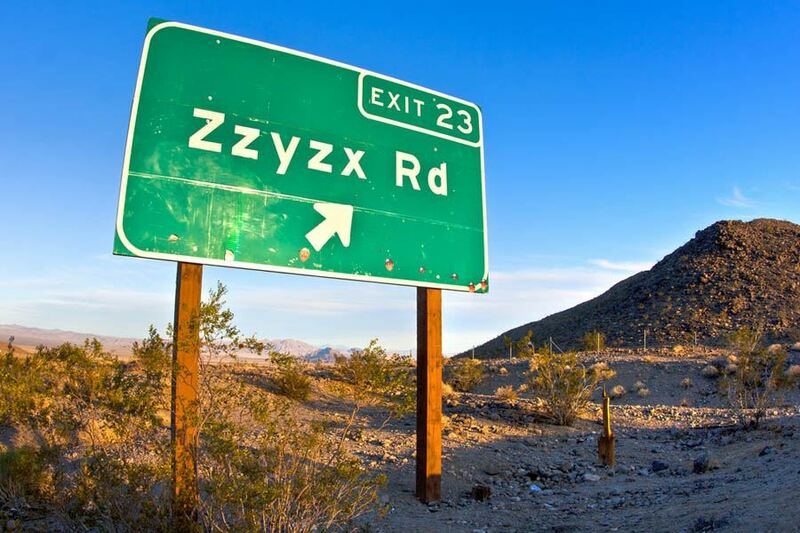 Keeping that in mind, Zzyzx Road — which stretches through the Mojave Desert — seems all the stranger. At the road’s end, you’ll find the remains of an abandoned complex. And the history of the empty, enigmatic empire in San Bernardino, California — and the fast-talking radio evangelist behind it all — is just as odd as its name. Curtis Howe Springer was born in Birmingham, Alabama in 1896. Given his tendency to glorify his own life events, it’s difficult to elaborate on his early history. By Springer’s own telling, he started his career selling sheet music to crowds gathered to hear popular early 20th century evangelist Billy Sunday. In so doing, Springer became acquainted with the world of evangelism — an ecosystem in which he would later thrive and from which he would profit. 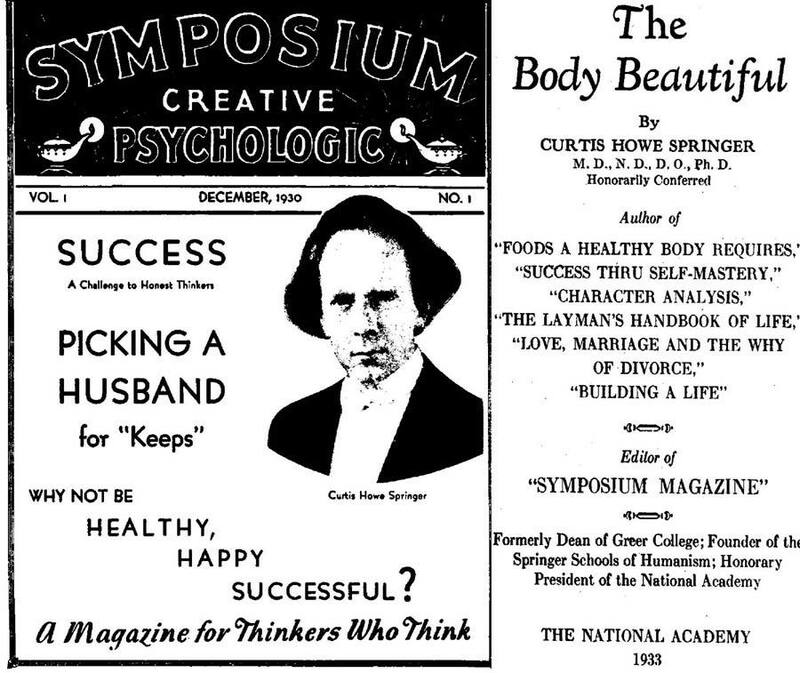 In the late 1920s, Springer moved to Chicago, where he began a lecture circuit on alternative medicines. He offered this series, called “How to banish disease and know the joys of living”, for free, but welcomed donations. In an attempt to garner as much of a crowd as possible, Springer billed himself as an actual doctor and used some (or all) of the suffixes M.D., N.D., D.O. or Ph.D. in advertisements for his lectures. One title that the enthusiastic proponent of homeopathic remedies included was “Dean of Greer College,” which in reality was a defunct auto mechanics school. RoadtrippersAn ad for Springer’s many lectures. Ever brazen, Springer marched into AMA headquarters to set his credentials straight. Nothing came of it — besides earning a notorious reputation among the medical community. Undeterred, Springer buckled down on his business model and began a radio show on a different station, WCFL — essentially one of the first attempts at public radio. He spoke at length about religion and his support of President Roosevelt’s New Deal — and in between touted his pseudo-medicines for various ailments. People ate it up, and Springer’s ambitions increased. Indeed, with his homeopathic “remedies” booming, Springer opened several “health spas” to hock his magic products — such as a life-prolonging tea that the Better Business Bureau exposed as nothing more than a crude laxative crammed into a tea bag. None of this seemed to matter to his customers, however, and they kept buying what Springer sold. With a solid revenue stream, Springer continued combining his message of health with religious evangelism, and people sent donation after donation to receive his potions and an ostensibly better life. After opening failed health spas throughout the country and then “forgetting” to pay taxes, Springer moved out West.